This class teaches movement that is consistent with the developmental level of the young child and associates moves with toys and stories that embrace a child's world. May include tap if appropriate. This class is an introduction to ballet and tap. Developing the ability to execute phrases of movement with specific step sequencing. This is a pre-ballet class with tap. It is a continuation of the skills taught in Broadway to Ballet with an emphasis on the introduction of classical ballet. Our lower level ballet syllabus is specifically designed to prepare students for the requirements of Level 1 through Level 3a. 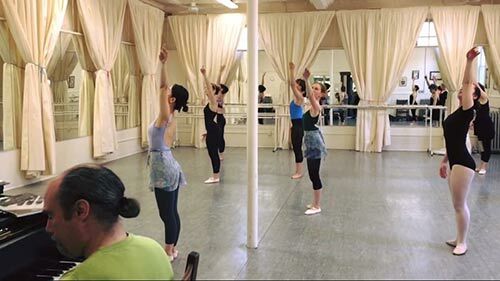 Classes include basic ballet vocabulary as well as floor exercises, which develop strength, coordination and flexibility. 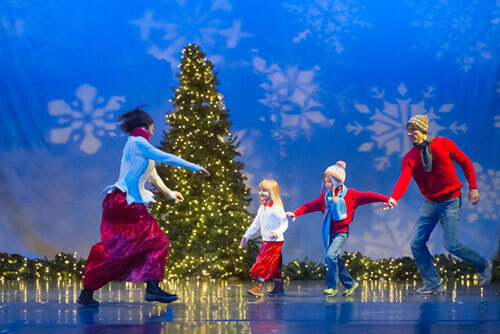 Musicality and joy of dance are emphasized throughout the year. 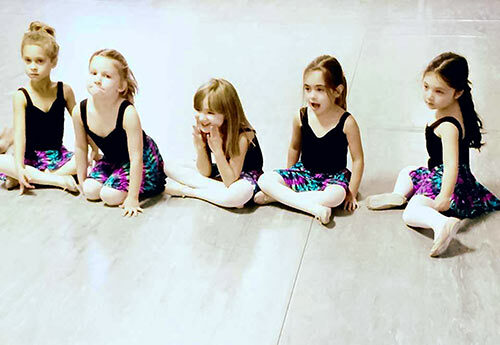 If age 6 but entering Kindergarten, please see the Young Dancers Division information. Ballet classes incorporate a curriculum of floor exercises, barre and center work which progress with each advancing level. Tap classes teach the traditional rhythms and weight shifts of tap dance. Hip hop Fusion classes combine the pedestrian style of street dancing with jazz. Boys Only classes teach hip hop with an option of tap using a creative and athletic approach. The performing companies of the lower level children's program rehearse in a company class specific to their age and ability. The company classes encourage student choreography developed from improvisational sequences. 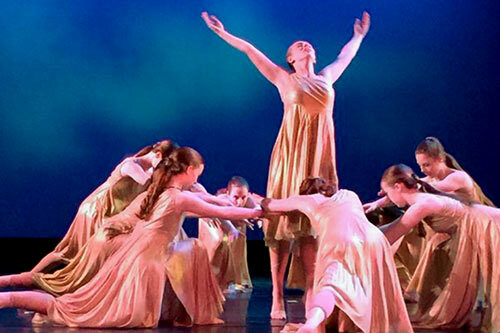 The Berest Dance Center company members perform in a non-competitive environment at fairs, in concerts and in-the-studio events throughout the year. The following classes require pre-approval to enroll on-line. Coaching may be necessary to enter into the class of choice. Costumes are worn in the Showcase at this level of training. Modern is the study of movement that initiates from the center of the body. This class explores contraction, release, spiral, fall and recovery, a strong and seamless shift of weight and the practice of moving in more complex spacial patterns. A Martha Graham based technique is used with a strong influence of the Paul Taylor style. *Tap is offered in a variety of styles: RHYTHM TAP, MUSICAL HALL TAP, AND TRADITIONAL TAP. This class teaches the rhythms and weight shifts of tap dance. *Hip Hop is a fusion of styles that may include JAZZ, CONTEMPORARY, LYRICAL and the techniques of BREAKING, POPPING AND LOCKING, primarily using pop music. Improvisation teaches the craft of self-expression that is translated into movement. Jazz is the study of TRADITIONAL, BROADWAY AND CONTEMPORARY STYLES with fun upbeat energy. Flexibility, coordination and strength are focal points of the warm up, followed by progressions across the floor, center work and combinations. Contemporary is a fusion of ballet and jazz. It explores different levels, traveling movements and positions. The class uses elements of fall and recovery, contractions, jumps, turns and improvisation. Lyrical is a fusion of ballet and jazz. The movement is specifically inspired by the lyrics or music, illustrating the emotion of the particular piece. These students rehearse in a company class specific to their age and level. The repertory consists of multi-genre choreography. A current enrollment in Ballet, Modern, Tap and Jazz is required to be a company member. The Berest Dance Center company members perform in a non-competitive environment. Concerts, fairs, studio events throughout the year. Creative Movement Camp (ages 3-5) July 8-July 25 Monday-Thursday 9:30-12 noon. Curriculum includes inspiring age-appropriate creative movement classes designed to instill the joy of self-expression, spatial awareness and music! Time is also spent working on a dance themed craft. Tuition $250 per week. Single week is allowed. Option of early drop- off and late pick-up! Young Dancer Camp (ages 6-9) July 8-July 26 Monday-Friday 1-4 pm. Curriculum includes age appropriate technique classes in classical ballet, tap, hip hop, and young creators choreography class. Tuition $400 per week. Single week is allowed. Option of early drop -off and late pick- up! Junior Intensive (ages 10-14) July 8- July 26 Monday-Friday 10-3:30 pm. Curriculum includes multiple genre repertory and ballet every day. Musical theatre tap, broadway jazz, lyrical, improvisation, contemporary and hip hop are among the offerings taught during the week. Tuition $500 per week. Option of early drop-off and late pick- up! If you took ballet as a child and still remember the feeling of leaving your worries behind and simplifying the world to just the music, your movement and your breath, this is your way back again. 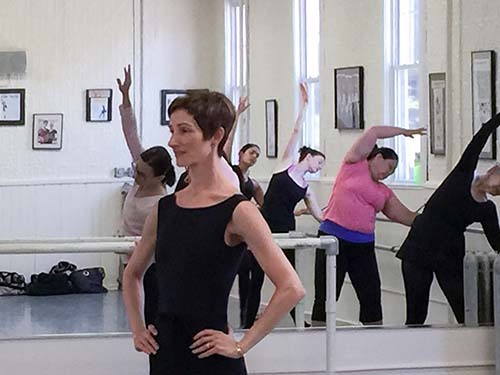 Heather Berest offers adult ballet and modern that caters to adults returning to dance after “many” years. Ballet class begins with a 45 minute barre which is a high quality workout by itself. It can used by all to build strength and stamina. It progresses to a 45 minute center which consists of an adagio, pirouette, moving, petit allegro, grand allegro and révérence. Modern class is based on the techniques of Martha Graham and Paul Taylor, exploring expression through the torso. This class explores contraction, release, spiral, fall and recovery, a strong and seamless shift of weight and the practice of moving in more complex spacial patterns. Private classes are available upon request in ballet, modern and body conditioning. Attire is whatever you feel comfortable wearing. Tight or loose clothing is acceptable. Ballet slippers are recommended for ballet and barefoot for modern. There are many different skill levels in both classes and all are respected equally.